Say hello to Laura Graham-Sawchyn, the first woman to receive Canada’s Interprovincial Standards Red Seal for the Floorcovering Installer Trade. The Red Seal is a national standard of excellence for skilled trades in Canada. This achievement is even more impressive considering Laura is a first generation flooring professional. 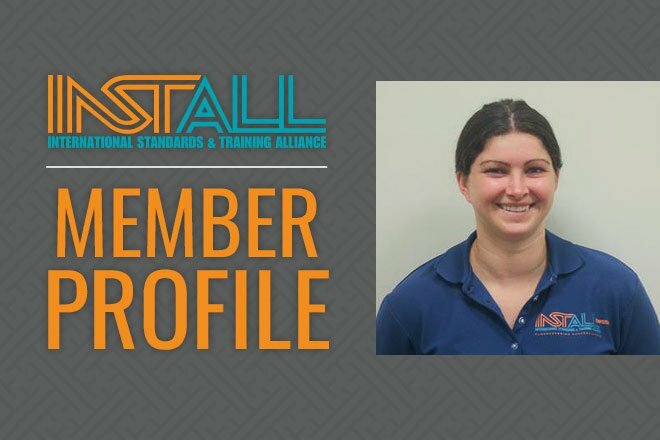 Now that she has spent six years in the industry, Graham-Sawchyn is looking forward to getting more involved with the INSTALL training program. Currently, she is a part-time instructor at the INSTALL training center in Woodbridge, Ontario, and continues to shadow basic courses until she completes all of the INSTALL instructor classes.